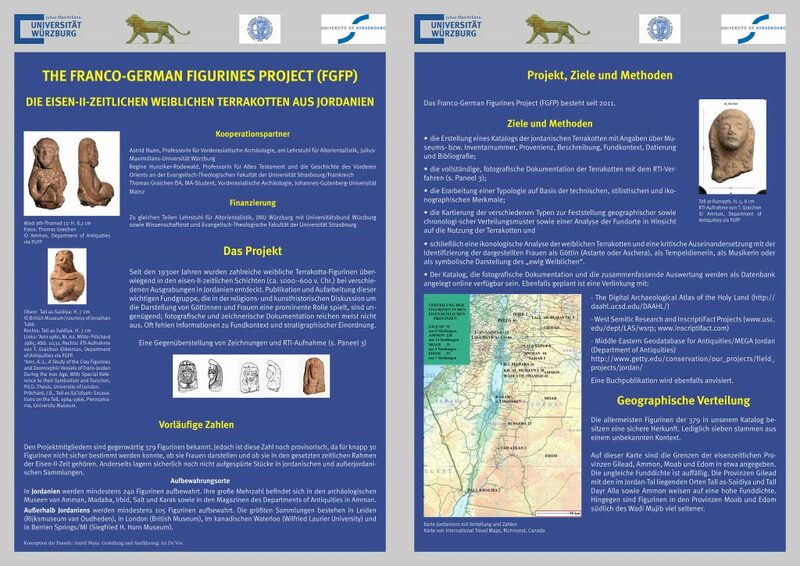 The Franco-German Figurines Project (FGFP) is financially supported by the Universities of Strasbourg (France) and Wuerzburg (Germany). 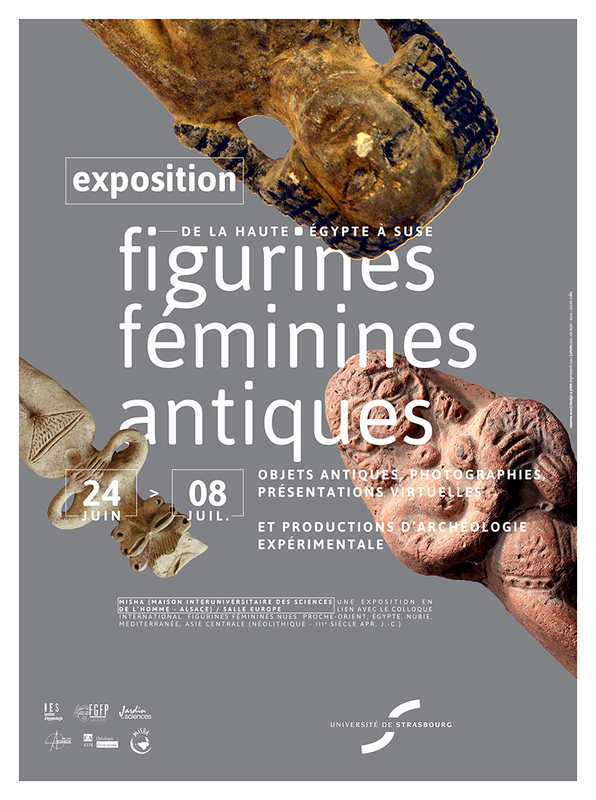 Its goal is primarily the recording of the Iron Age female terracotta figurines found in Transjordan and the creation of a refined typology of these objects. Between spring 2012 and summer 2014, the project team consisting of Regine Hunziker-Rodewald, Astrid Nunn and myself carried out five preparative and seven research stays in France, Germany, and Jordan, as well as in the United-States and Canada. 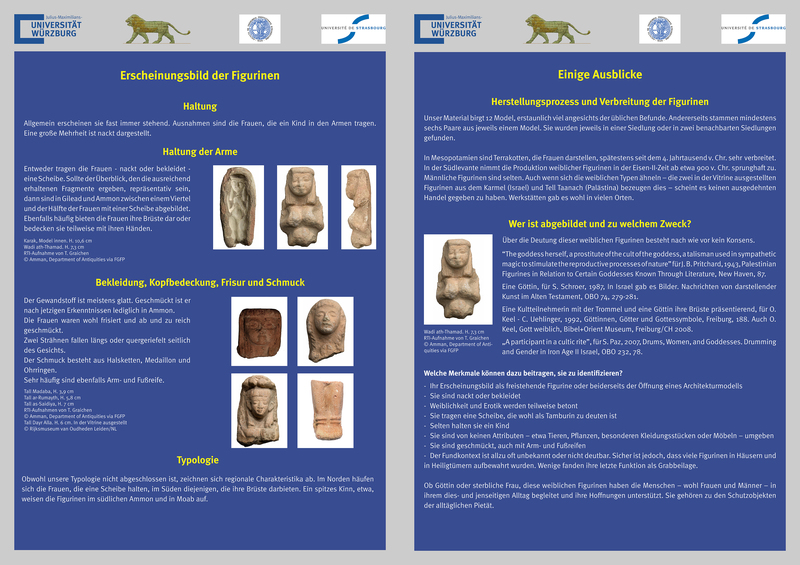 The team exclusively works on material kept in museums, in storage facilities and in university collections. 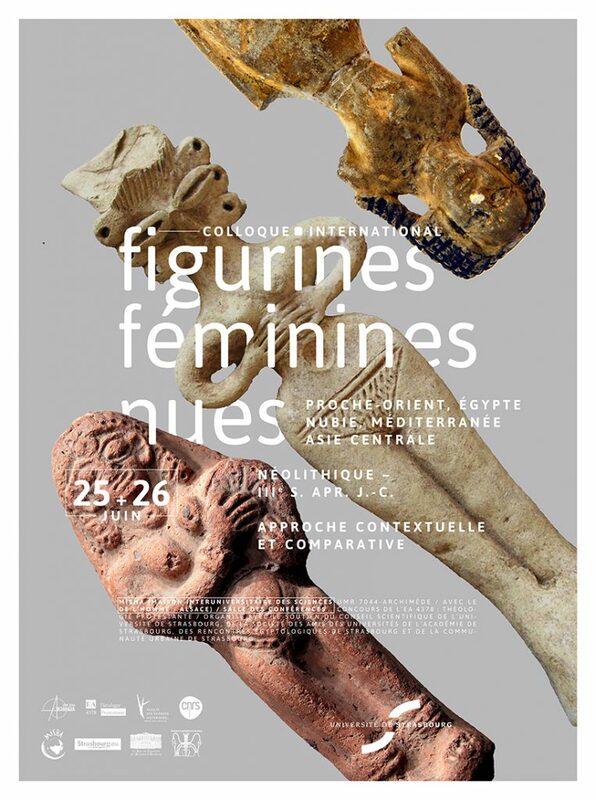 To date 423 female terracotta figurines, 96% of them fragments, have been registered. 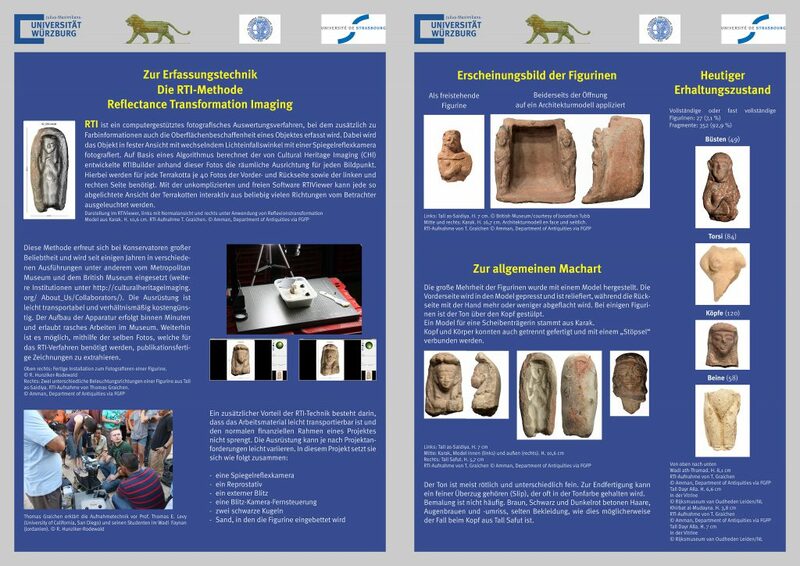 Reflectance Transformation Imaging (RTI) produces dense surface data of captured objects, by far surpassing traditional photography in the versatility of its output format. In my function as the head of documentation, I have recorded 229 figurines from collections in the US, Canada and Jordan using the RTI highlight method. I was also given the opportunity to hold lectures on this subject in the US, France and Germany.